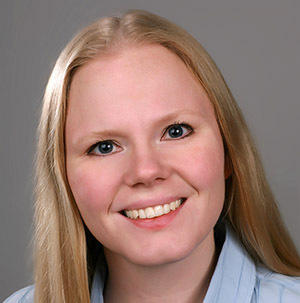 Laura M. Salonen is currently a Staff Researcher in the Nanochemistry research group. Her research focuses on the design and synthesis of covalent organic frameworks for adsorption applications. She is also involved in developing new organic chemistry strategies for the functionalization of nanoparticles. She carried out PhD research in the group of Prof. F. Diederich at ETH Zurich studying non-covalent intermolecular interactions in protein–ligand complexes. During her postdoctoral stay at LMU Munich she worked on the design and synthesis of different aromatic scaffolds with biological activity with the group of Prof. D. Trauner and with the group of Prof. T. Bein on the preparation of building blocks for covalent organic frameworks for photovoltaic applications. N. Guldris, B. Argibay, J. Gallo, R. Iglesias-Rey, E. Carbo-Argibay, Yu. V. Kolen’ko, F. Campos, T. Sobrino, L. M. Salonen, M. Bañobre-López, J. Castillo, J. Rivas. Bioconjugate Chem. 2017, 28, 362-370. L. M. Salonen, D. D. Medina, E. Carbó-Argibay, M. G. Goesten, L. Mafra, N. Guldris, J. M. Rotter, D. G. Stroppa, C. Rodríguez-Abreu. Chem. Commun. 2016, 52, 7986-7989. N. Guldris, B. Argibay, Yu. V. Kolen’ko, E. Carbó-Argibay, T. Sobrino, F. Campos, L. M. Salonen, M. Bañobre-López, J. Castillo, J. Rivas. J. Colloid Interface Sci. 2016, 472, 229–236. M. Calik, F. Auras, L. M. Salonen, K. Bader, I. Grill, M. Handloser, D. D. Medina, M. Dogru, F. Löbermann, D. Trauner, A. Hartschuh, T. Bein. Extraction of photogenerated electrons and holes from a COF integrated heterojunction. J. Am. Chem. Soc. 2014, 136, 17802−17807. L. M. Salonen, M. Ellermann, F. Diederich. Aromatic Rings in Chemical and Biological Recognition: Energetics and Structures. Angew. Chem. Int. Ed. 2011, 50, 4808–4842.